Abs aren’t everything, but let’s face it: They are what everyone wants. Fitness can mean many things, but in most people’s eyes it’s nothing without six-pack abs. The hype over sculpted abdominals is everywhere, with a million-and-one gimmicks, routines, articles, diets, etc. claiming there are fast ways to get six-pack abs. When the dust settles and the sweat dries, abs are like any other muscle group. Here are the honest-to-God truths about what the muscles are, factors that hurt or help how much belly fat builds, what exercise equipment or ab machines can help sculpt six-pack abs, and a simple six-pack ab workout outline. What’s In Your Six Pack? Rectus Abdominis Muscle – the long, vertical abdominal muscles that reach from the pelvis to the chest. 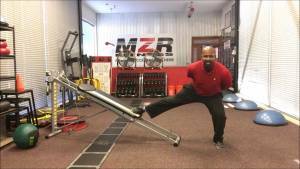 This muscle primarily controls linear movement forward and backward as it holds vertical control and balance of the core. Abdominal Oblique Muscle – the long, thin muscles that reach from the hip to the shoulder stretching over the ribs on each side. These muscles control horizontal movement and strength of the core in conjunction with the Rectus Abdominis. Inguinal Ligament – the V-line ligament around the groin that supports internal organs and helps connect the Rectus Abdominis and External Obliques to the pelvis and hips. The six-pack muscles must work in proportion with each other and, like any muscle group; they should not be exercised every day. The body is an efficiency machine designed to save as much energy (and cut as many corners) as possible. The feeling you’re after for beach-ready, six-pack abs is tight, not strong. The six-pack muscles closely align with core strength. While the expansion and contraction of the muscles is ultimately what will strengthen and tone the muscles, there are other factors to consider in order to get six-pack abs. Though most people wouldn’t like to admit that they know it, diet is a big part of having six-pack abs. Burn belly fat in order to trim the waistline and sculpt abs by burning more calories than you consume. That’s the most basic part to reduce belly fat, but another key part is the food and drinks being consumed. The most basic diet tip to reduce belly fat is to keep your food as simple and in-proportion as possible. Processed foods contain many additional grams of sugars or saturated fats that aren’t needed by the body. The best balance for a six-pack abs workout is a lean, healthy meal. Balance lean proteins such as chicken or fish with leafy greens or vegetables. Most people consume excess amounts of sugar so be sure to balance fruit consumption appropriately. The same goes for grains, carbs and dairy. None should be cut out of a person’s diet completely but each should proportionately balance with workouts in order to fuel the body and burn belly fat. Alcohol, on the other hand, can be cut out completely (or mostly). The empty carbs in beer, wine or other liquors quickly store as body fat and decrease hydration, reducing how toned abs will appear. Even the fittest athletes who drink heavily do not have six-pack abs. The less alcohol consumed the easier definition is to come by. New ab machines and exercise equipment or gizmos hit the market every year. When it comes down to it, some are effective and most are not. Beyond they effectiveness of the ab machine comes the versatility and usability of the exercise equipment. Look for a machine that can give you a full-body workout instead of just an ab workout. As mentioned earlier, it is important to balance a six-pack abs workout with exercises focusing on other parts of the body. 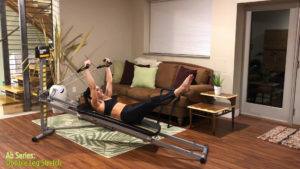 By using multi-focus exercise equipment you’ll not only get more bang for your buck, but also more use out of the machine. Most ab machines end up in yard-sale boxes or in the black-hole closet of rarely used items. Whether it’s an ab roller hand wheel, glider or another roller gimmick, odds are the machine’s use will be temporary and results fleeting. To get six-pack abs, genuine effort creates better results than corner-cutting whims. No, doing one million crunches won’t benefit you much because your muscles remember the motion and the skill loses its effectiveness, but you don’t have to jump on the newest whim just to sculpt six-pack abs either. Many of the oldest workouts remain the most effective. Here are some exercises and tips to use in a six-pack abs workout and get the six-pack abs that everyone else wants. Wide leg sit-ups – Lay flat on your back with your legs apart. Reach for the sky as you sit up and touch one ankle. Repeat 20 times, alternating ankles you touch each time. In & Out (not the burger joint) – In a seated position on the ground, lift your feet off the ground slightly. Extend them fully without touching the ground while spreading your arms wide. Bring your knees to your chest and wrap your arms around them without letting your feet touch the ground. Repeat roughly 20 times. Mason Twist – In a seated position on the ground, lift your feet off the ground slightly. Clasp your hands in front of your chest and quickly tap the ground on either side of your hips with your knuckles. Keep your feet off the ground and repeat rapidly for roughly 45 seconds. Planks/Side Planks – Similar to a pushup position, lift your body off the ground with the weight balanced on your forearms. Hold for 1 minute. Rotate so your weight is on one arm, bringing the other arm over your head for balance. Rotate up and down to continually engage your obliques. Kickback – On your hands and knees, keep your back straight and slowly kick backwards. Alternate legs for 20 reps. Raise the opposite arm in conjunction with the kick to step up the difficulty. Six-Inches – Lay flat on your back with your legs extended straight. Lift your feet roughly six inches off the ground with your feet together for 30 seconds. Then spread your feet as wide as you are able while keeping them off the ground. Hold for 30 seconds. Repeat two to three times. Bicycle Kicks – Lay flat on your back with your hands behind your head. Lift your feet off the ground and alternate bringing your knees to your chest connecting with the alternate elbow. Fully extend the leg again and bring the other knee towards your chest, connecting with the alternate elbow. Repeat for one minute. Walk Out/In – Standing, place your hands on the ground at your feet (or as close as you can get them) and walk your hands slowly outward until you are in a push-up position. Lower your chest to the floor and then rise back up into the push-up position. Slowly walk your hands back towards your feet. Straighten your back to a standing position. Repeat 20 times. Focus on balance – Forcing your body to stabilize increases the efficacy of the workout. It will naturally and automatically engage every muscle group in order to stabilize the core, tone belly fat and sculpt six-pack abs. Change it up – Muscles adapt to workouts quickly, so do similar sets of six-pack ab workouts three to four times and then change up the exercises. Keep your body and muscles guessing. It’s the best way to ensure that workouts are effective. Remember to stretch – Before and after workouts engage the muscles in order to improve range of motion and flexibility. This will ultimately break down lactic acid, improve blood circulation and ultimately reduce belly fat on top of your six-pack abs. Be mindful of your posture – When you are not exercising, improve your posture to properly keep your back muscles and abdominals aligned. Stay Hydrated – Drink water consistently throughout the day in order to flush the body of toxins and hydrate muscles. It is easier to tone your body when the muscles are not depleted of water. Most adults should drink eight to 10 glasses of water per day.